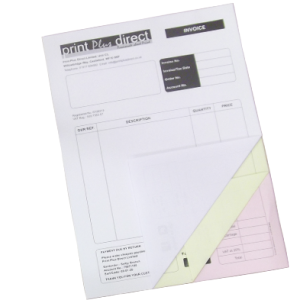 Print Plus Direct offers a wide array of printed NCR products for all your print needs, whether it’s purchase order sets for the office or delivery note books for your drivers. We use the highest quality materials and we guarantee you will be pleased with the finished product. We are experts in our field and know what our customers expect. You choose the quantity, size and paper options… then leave the rest to us. 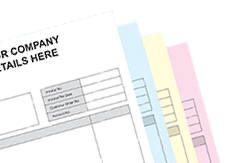 Individual NCR sets are ideal if you have multiple users. Simply fill in your form and distribute the parts accordingly. Sign up for all our print news, amazing discounts and much more! All our pricing includes one FREE UK Mainland delivery using a reliable next day courier service. © Copyright Print Plus Direct Limited 2015. All product images shown on our website are for representation purposes only. 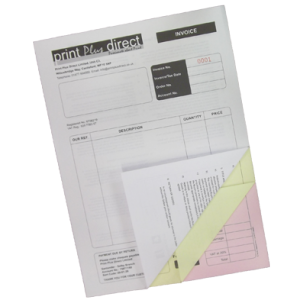 Print Plus Direct Limited, Unit C3 Willowbridge Way, Castleford, West Yorkshire, WF10 5NP, England, United Kingdom. Company Registration No. 09436582.